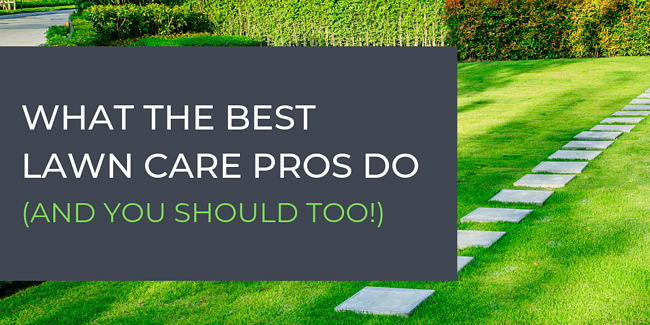 Just because you're gearing up for a crazy spring season, doesn’t mean it’s time to slow down on marketing and selling your lawn care services. Don’t get off the marketing and sales hamster wheel just yet, or risk losing your momentum and compromising your growth opportunities. Take 15 minutes each day to follow up with a lead, write a social media post, mail a post card or send out an email newsletter. Has operations chaos sapped you of all creative juices? 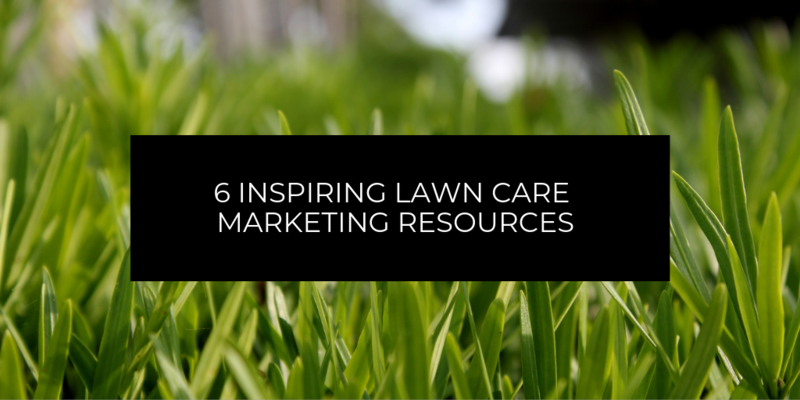 Check out the list of resources below on marketing and sales for busy LAWNtrepreneurs. 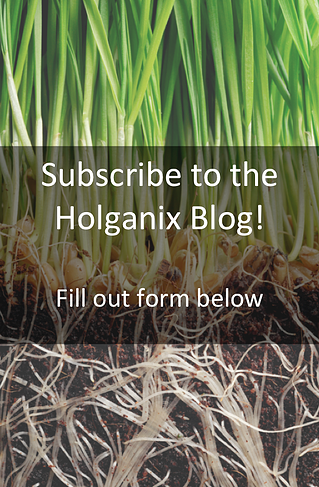 The Holganix Launch Box is filled with tools to help you start marketing your use of Holganix. It’s an excellent resource to cheat on your marketing and sales initiatives and to R&D (rip off and duplicate) from marketing tools Holganix has already created for you. Tools include but aren’t limited to social media posts, customer letters, blogs and email blasts, all on Holganix. Get inspired by this Holganix webinar featuring Linda Thomas, The Director of Marketing at Real Green Systems. According to Linda, branding is more than just a logo. Watch the webinar to establish what BRANDING really means and what you can do to establish a successful brand for your lawn care company. Reading this blog via email, click here to access the video. In a world where consumers are faced with too many options, it’s easy to ignore the ordinary and boring. Instead, Seth Godin urges marketers and entrepreneurs to build products, services and campaigns that are Remarkable. The term “remarkable” means it’s worth making a remark about. Remarkable products, services and campaigns are inspiring and crazy, and certainly not boring. Watch Seth Godin’s TED Talk entitled, How to get your ideas to spread for remarkable marketing inspiration. Reading this blog via email, click here to access the video. Holganix CEO and Founder, Barrett Ersek is a former lawn care company owner. In the below 4-minute video, Barrett compiles his favorite lessons on spring marketing from his 20+ years of experience on building, running and selling lawn care companies. Hint, getting customers from marketing initiatives doesn’t ALWAYS mean selecting the cheapest tool in your marketing arsenal. Social media is a tough nut to crack. However, utilizing social media in lawn care enables you to build relationships with customers, creating a more loyal fan base. Furthermore, you can tap into your customers’ friends or followers and maintain an up-to-date flow of information about the goings-on in your company including coupons and sales. This short blog will discuss how to jump on the social media bandwagon with tips specific to the lawn and landscape industry. For those of you stuck in a creative rut, here's a TED Talk that is sure to inspire your inner creative genius. Elizabeth Gilbert of famed Eat, Pray, Love explores the art of creativity and shares the radical idea that, instead of the rare person "being" a genius, all of us "have" a genius. Just because the spring season has come and passed doesn't mean there aren't opportunities to grow in the fall! In fact, about 25% of your business' growth may come from the fall season. 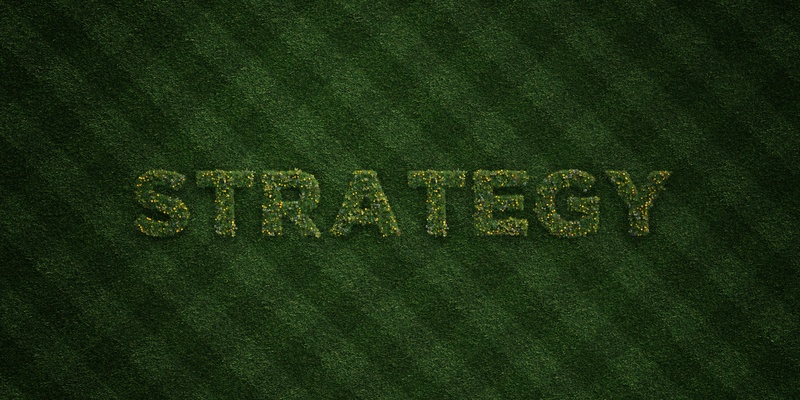 Start planning your sale and marketing initiatives now to ensure you take advantage of the fall season growth period. 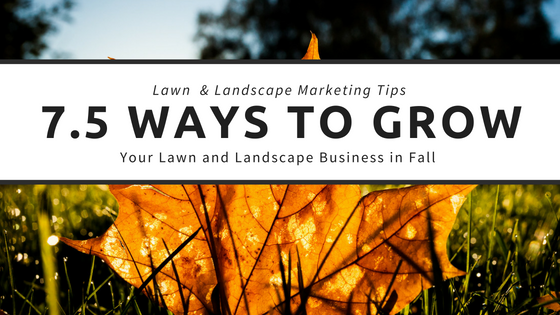 Watch the webinar below to learn about the 7.5 Ways To Grow Your Lawn and Landscape Business In Fall. Or, if you prefer to read your material, skip the video and peruse the highlights from the webinar below. Looking for any of the resources mentioned during the webinar, download all of your tools below. Holganix Soil Smart Program - Your turn-key, regional fertilizer program. The wonderful thing about cancelled customers is that they are already familiar with your company. Consider that just because a customer cancelled services, doesn’t mean they were an unhappy customer; many customers cancel to take advantage of a price break or discount offered by a competitor. Targeting your cancel list when lawns are at a weak point right after summer, is the perfect opportunity to bring in new sales. In fact, often if you conduct a mail campaign to cancelled customers you can expect an close rate of 2.5 - 5%; if you combine a mail campaign with a call, the close rate can reach as high as 20%. Golden streets are where your most profitable customers live. By focusing on neighbors of your most profitable customers, you acquire more profitable sales. Most golden streets are selected because they have over 100 homes in a neighborhood, usually have two working adults, and homes are at least two years old. Upselling current customers on aeration and overseeding, is not only good for the customer’s turf, but it is good for your company’s wallet. Aeration and overseeding revenue can come close to or rival the revenue gained from that customer’s entire year of lawn care services. Consider also that your customers already know and trust your services, so upselling them is easier than any cold call to acquire a new customer. Guerilla marketing is about being creative and cost effective in your sales and marketing approach. An example of guerilla marketing might be throwing frisbees with your company information and an offer in a neighborhood. Watch the video for other examples of guerilla marketing. Package a fall program that you can sell to new customers and DIY homeowners that would normally conduct their own lawn care services. Specifically, target leads that you have pitched in the past but haven’t yet sold. You can also look at targeting your cancelled customers with a new fall program. Prepay invoices are often sent to customers to encourage them to pay in advance of services and are usually a big focus for Q1 in the lawn care industry. However, offering late season prepays doesn’t necessarily need to involve a discount. In fact, instead of a discount, try offering an additional service for free such as a flea and tick application. One thing lawn and landscape professionals often don’t think about is the fall planting opportunity. Even if you aren’t installing the new landscape, your company can offer a “plant start application” of Holganix Bio 800+ product in order to ensure that the landscape doesn’t just survive, but thrive. Offering a tree and shrub program is another way to secure additional revenue from current customers. In fact, you can expect between 10 - 20% of your current customers to sign up for a tree and shrub program. As a contractor, it is hard to give homeowners the thick, green lawn they are looking for in the summer. It is also hard to properly deploy labor in the summer months when services have slowed to a crawl. 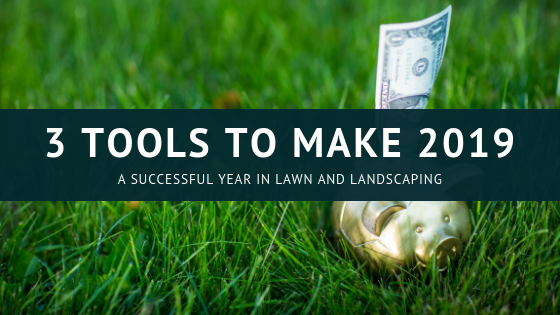 So, how can lawn and landscape contractors provide value to homeowners while building revenue and keeping their labor force working? 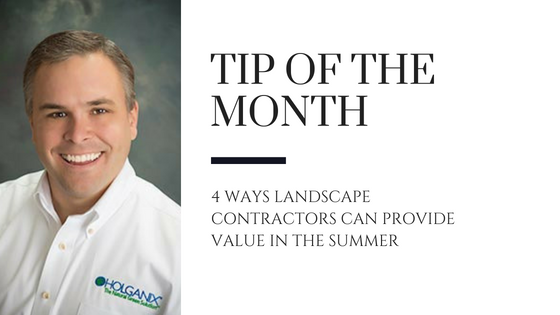 In his tip of the month video, Holganix CEO & Founder, Barrett Ersek dives into 4 methods he incorporated in his previous lawn care business during the summer months to meet demands and generate revenue. If you are reading this blog via email, click here for Barrett’s video. In the above video, Barrett mentions several tools he recommends lawn and landscapers utilize to market their services to homeowners. Access those tools in the resources below. The Holganix Tree & Shrub Box contains several tools to help lawn and landscape businesses generate a tree and shrub business to compliment their turf business. Tools enclosed include but are not limited to: pricing guide, postcard designs and a video for your website. The Summer Weather Box contains tools to help lawn and landscape contractors communicate to homeowners how they can help take care of the lawn during the summer. Tools enclosed include but are not limited to: homeowner letter and social media graphics. The Aeration Box contains tools to helps lawn and landscape contractors upsell aeration and overseeding services to their current customer base. Tools enclosed include but are not limited to: homeowner letter, postcards and a video for your website. 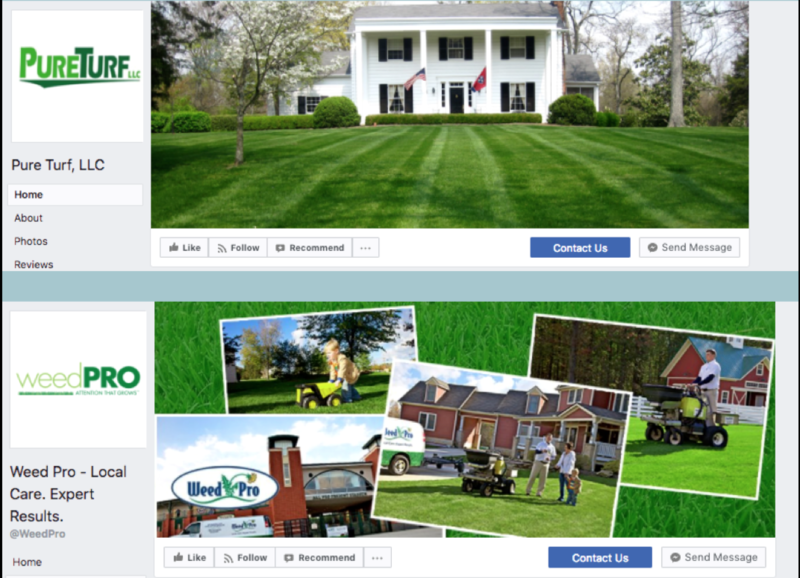 Why is social media so important for lawn care companies? Social media is a free tool your company can use to promote brand awareness, engage with customers through customer service, and can help generate new customer leads! 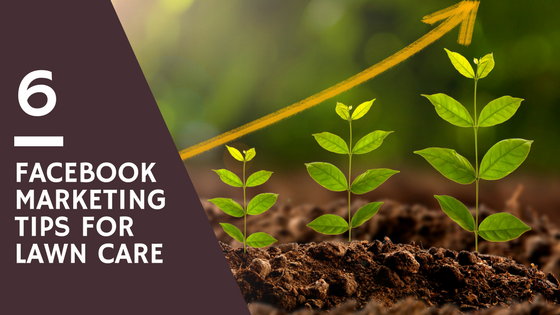 Continue reading to see how you can maximize Facebook and other social media tools to help grow your company. Ensuring your Facebook Page is set up properly is imperative to promote engagement. Before you even begin, make sure you are creating a “Page” as opposed to an “Account”. Facebook accounts are used by individuals while Facebook Pages are used by companies. Facebook may delete your account if you classify yourself incorrectly. Your Profile Picture - This is the first thing someone will notice about your Facebook Page and should be a recognizable image such as your logo. Your Profile Picture should also be 180 x 180 pixels. The “About Us” - This section is where you can help your page stand out from your competition and make your company shine. Be sure to fill out as much information in the “About us” as possible so customers can get a feel of your brand. The Call To Action - This is a button located in the right hand corner, beneath your cover photo. Consider making your call to action button a “Contact us” or “Call us” that allows prospects to get in touch with you directly when they have questions. Here are two examples of companies that have set up their Facebook Page using the above checklist. Your company already uses marketing to gain new customers and promote your brand, don’t let these efforts go to waste. Add social media buttons to marketing pieces including email, newsletters, and print material. Also make sure you have your social media buttons linked to your website so customers can easily click to see and read more about your company. With small or large companies, we can often find ourselves becoming “too busy” to get bogged down by the tedious work of social media. However there are ways to make sure that even in the busiest of months, you can still be posting effortlessly. One way to do this is to schedule posts ahead of time. If you know there is a certain day or week that tends to get overwhelming, then schedule a post to get automatically sent out. You can schedule these posts weeks before, allowing you to be fresh and ready for the busiest of days! According to Hubspot, visual posts receive 2.3 times more engagement than posts without visuals and visuals account for 87% of total interactions. Whenever you are posting to your Facebook Page ensure you are incorporating an interesting visual or a video. See below for two free, easy ways to make professional grade graphics without paying for a graphic designer! Pixabay: Free stock photo website. Canva: Allows you to create a visually appealing post without the help of a graphic designer. They have numerous templates to use for Twitter, Facebook and more! Posts should only include a 1 to 3 sentence summary about the article or piece of content you are linking back to. It should also always include a visual! When using social media, your audience is scrolling through news quickly so don’t get too wordy or they may bypass your posts. Keep posts short, simple and attention-grabbing! When you are thinking about what content you should be posting use the “rule of thirds” to help guide you! Education Pieces Authored By You - ⅓ of your post should be educational pieces authored by your company. For example, you may post about pests that are destroying certain plants, then link this back to a product or service you offer to combat it! Brag About You - ⅓ of post should be about you. This is where you can get into sales in a tasteful way! Consider posting a testimonial or a promo for this section. Educational Pieces By A Third Party - ⅓ of posts should be educational content by a third party. For example you might post an alert by your State extension on a specific weed or pest that’s prevalent in your region. As you begin or continue to use Facebook in your marketing, be sure you are taking advantage of these free resources. Social Media Content Calendar: Helps you plan out your posts. Canva: Creates graphics without the help of a graphic designer. Pixabay: Download free stock photos. Holganix Launch Box: This contains a bunch of already created articles, social media posts and graphics that are designed for you to use to send to your homeowners! The Webinar recording: If this article appealed to you, watch our webinar recording below on the subject for additional information. Be sure to set aside 17-minutes to watch the recording. If you are viewing this blog via email, click here to access the video. Organic isn't a fad - in fact, according to the Organic Trade Association (OTA) 82% of U.S. households buy organic with millennials representing the largest group of organic buyers in America. That many not seem like a large number to you, but consider that today 25% of millennials have families and that in 10-to-15 years, that number is expected to increase to 80%. Can you consider how these new families will affect the consumer market - whether it's groceries, cleaning products or lawn care, buying organic matters to the millennial consumer. You can read the rest of our blog to learn more, or watch the webinar recording below for the story. If you are reading this blog via email, click here to access the webinar recording. Regardless of the industry, today’s economies are being disrupted. Consider how Tesla is disrupting the traditional auto-industry. Ten years ago, few took Tesla as a car manufacturing company seriously. Compare the views of Tesla from ten-years ago to today and you get a whole different story. In fact, Tesla’s market valuation exceeded century-old titan, General Motors in 2017 by $1Million Dollars. Earlier this year, reports stated that the Tesla Model S outsold the luxury flagships of Mercedes-Benz, BMW and Audi in Europe for the first time. In the green industry, robots are starting to be disruptive and have the potential to displace labor. Last year, the manufacturers of Roomba announced a solar-powered, weed eating machine dubbed the “Tertill” for presale on Kickstarter. While the first or second model of the Tertill may not function 100%, in a few years it’s our firm belief that devices like the Tertill will be commonplace. It’s important to pay attention to innovation in and outside of our industry in order to outcompete the competition. Additional innovation is happening in our industry when it comes to the technologies we have to create a beautiful, green, weed-free lawn. 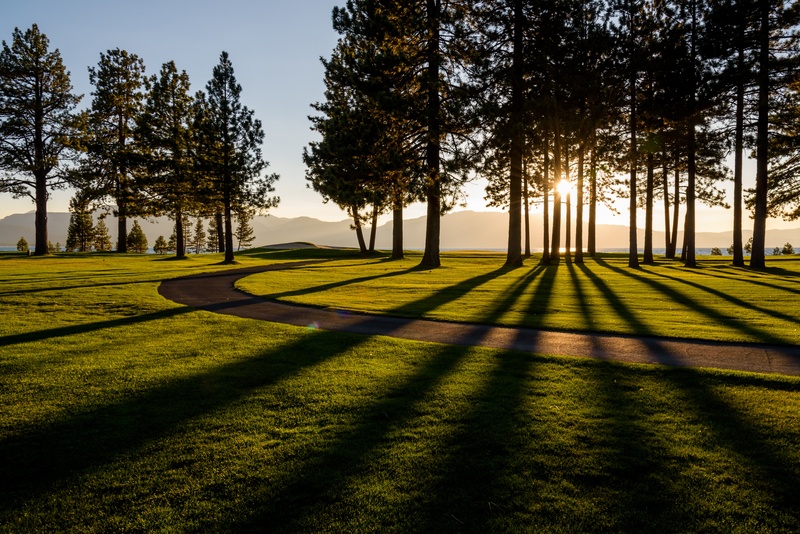 Biologicals like Holganix Bio 800+ products (Holganix Lawn, Tree & Shrub, Bloom, Agriculture and Golf) are creating disruption by offering a better way to reach results using fewer chemicals. That innovation is being disruptive because there is a need to not only be more sustainable for the environment but because the customer is demanding it. That customer could be called the Millennial but for this presentation we are widening that demographic to include anyone who would potentially shop at a "Whole Foods"-type of grocery store. These consumers are demanding that today’s businesses use sustainable products. According to a report by Satista, the organic product industry in the U.S. is worth 26.7 billion dollars. This translates to us in lawn care as well. The millennials are going to be our consumers and if we take a look at the trends of this group of people it is going more and more organic. 82% of U.S. households are buying organic items already and 30% of those purchasing organic do so to avoid fertilizers and pesticides. Don’t you think that diversion from fertilizers and pesticides can translate to their lawn care services as well? One way to combat the disruptive economy is through your company’s “why.” A customer is more likely to use your product if you have a “remarkable message” on why you do what you do. If you are using Holganix products, it’s important to tell your customers and prospects that you are doing something different and get credit for the steps you are taking to meet customer demand and do good for their plants, family and the environment. Let’s look at a few examples that are currently using the “Holganix message” of using environmentally friendly lawn care products to build a green, weed-free lawn. UltraGreen Lawn Care allows the “Holganix message” to do their marketing for them! In any marketing or sales piece they create, UltraGreen, ensure they include the organic, environmental message to sell their product. Because they took advantage of the Holganix message, UltraGreen grew from 0 to 7,000 customers in just four years and saw a 15-to-20% savings on material costs! According to PureGreen Lawn Care owner, Nathan Brandon, “over the last ten years, I have really noticed that more and more of my customers are requesting organic services.” He latched onto this trend and changed his messaging to focus on communicating how PureGreen is responsible for the environment and how their customers play an important role in that mission. When Tomlinson Bomberger decided to start using Holganix products they designed the “Soil Smart Lawn Care Program”. Each time they get a new customer or lead they offered the customer the ability to either choose the “Traditional” lawn care program or the “Soil Smart” lawn care program. The Soil Smart program was roughly 20% more expensive than their standard program but incorporated Holganix products and thereby offered a more environmentally friendly solution. According to Tomlinson Bomberger, the Soil Smart lawn care program is their fastest growing program yet! Using Holganix Products and Want to Get Credit For What You Do? We’ve created multiple marketing tools to help you better communicate why your lawn care program is better than the competition because you use Holganix. The Holganix Launch Box is our most popular tool - it contains a multitude of both print and digital marketing pieces to help you grow your business. Download your Holganix Launch Box by clicking on the button below. At Holganix we want to revolutionize the way the world grows by focusing on biology as the solution to soil and plant health. We have noticed that lawn care needs a good foundation in the soil and roots to really focus on plant health and to produce a happy customer. That is why our line of products uses living biology to nurture soils and ultimately create a stronger and healthier looking lawn! Want to learn more? Click the button below to schedule an appointment with your Holganix representative. Getting your customers ready for summer can be tough. Not only is the turf about to undergo summer weather-related stress, if not drought-like conditions, but early-summer is also a key time for tree and shrub applications due to disease pressure. Holganix has designed two key summer marketing resources for you to steal and utilize in your own marketing efforts to prepare your customers for summer. On average, you can expect 10–30% of your current customers to sign up for tree and shrub applications if you communicate it properly. That’s like new-found money! Due to high disease pressure, early-summer can be one of the best months to market your tree and shrub services. If Mother Nature decides to dish out her usual drought-like conditions, it's important to have a conversation with your customers about what's going on with their lawns and what they can do to help! Download the Summer Weather In A Box to access marketing materials to help you communicate and educate your customers on how to care for their properties throughout the summer. After a short winter, anticipation for the start of spring is thick. 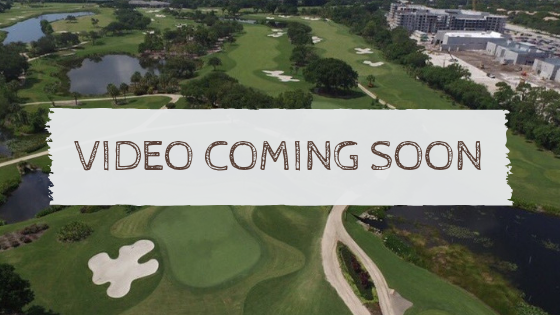 Many of us are itching to get back on the properties and begin normal maintenance operations. The marketing and sales machines are moving. Early telemarketing campaigns have begun and post cards are already starting to go out the door. However, before full-blown spring chaos is upon us, it’s important to slow down and really think about growth strategies for 2017. Scottish author and historian Thomas Carlyle once stated, “A man without a goal is like a ship without a rudder.” In other words, don’t confuse being busy with real growth. How do you know you’re moving business growth in the right direction without a rudder, or goal, to guide you? “Step one for 2017 needs to start with setting a clear, measurable growth goal,” says Barrett Ersek, CEO of Holganix and former lawn care company owner. For most of us, starting with the marketing and sales plan is key to hatching the appropriate marketing and sales campaigns to reach revenue goals. That’s one of the reasons why Holganix has brought back its acclaimed webinar, “Building Your 2017 Marketing Plan” for lawn and landscape professionals. To date, we have a webinar scheduled for February 21 at 5:00 PM ET (Register here). Attendees will set revenue goals for 2017 and break down campaigns needed to reach that revenue goal. According to Nathan Brandon of Pure Green in Nashville, Tennessee, working on his marketing plan with Holganix’s marketing department has been a contributing factor to helping him stay focused on growth objectives. Nathan started his business in year-end 2013 and grew to 500 customers by December 2014, just 12 months later. Slow down, get strategic and start growing this 2017 by attending our webinar Building Your 2017 Marketing Plan.